Float Ready! 1941 2 Door J3 Cub C65 - 220hr since complete professional restoration in 2013. Why speed 100k on a Legion Cub when you can solo from the back seat with both doors down! 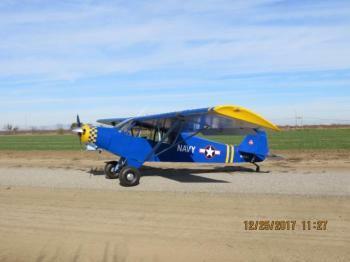 Very rear and very nice flying Cub. Second door was STC certified from FFA......more. $93,000 - REDUCED FOR QUICK SALE! Total rebuild 2014. 4442.75 TTAF, 223 SMOH. Rebuilt mags and carburetor, new cyls.. Leading Edge balanced exhaust system. Stits coverings, STC Dodge mods. Super light empty weight 1020 . Sealed struts, Cleveland brakes, overhead x bracing, shoulder harnesses, new boot cowl, float fittings, two sets of tundra tires plus standard, Borer prop, strobes, under seat ......more. 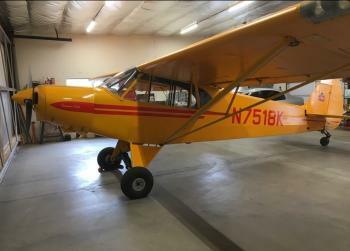 This 160 HP Super Cub is ready for your Summer Flying!! Note: This aircraft is available with or without the vinyl military markings! Price: Just slashed to: $81.5K ! Airframe Time: 3812 TTSNEW Engine: 360 TTSMOH (Lycoming 0-320 – 160HP) Propeller: 360 TTSMOH – (McCauley - 8244 – Fixed Pitch) Avionics: King KX-155 King Transponder King CDI Intercom – 2 Place ECI – C......more. 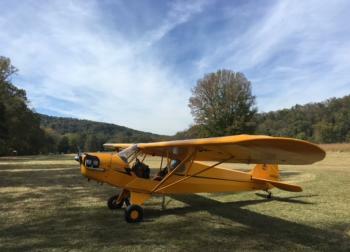 Airframe Total Time:499 Hours Engine Time:499 SNEW Complete Logbooks:Yes Damage History:None Engine:Lycoming O-320-A2B Horsepower:150 HP Prop:Sensenich 74DM6-0-58 Two Blade Fixed Pitch Useful Load:645 lbs.......more.